Queen City Moving is known for being flexible to the needs of their clients. This means having the amount of labor that you need, at a rate that fits your budget and even special furniture packing methods and appliance packing too. As far as moving companies in Charlotte, NC go, this is one of the best. This company takes on full responsibility for your belongings so you can be sure that they will treat everything with the utmost care and attention. 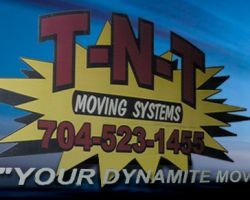 Since 1995, TNT Moving Systems has been offering the most professional and reliable services in the area. As apartment and house movers, these experts are able to quickly evaluate what needs to be done in order to move your possessions in the most efficient and safest way possible. This company is flexible and able to meet all of your moving needs. This includes taking care of large or especially valuable items such as a piano. They can even keep your things in storage for a staggered move. ACE Movers has been one of the most affordable moving companies in North Carolina since 2000. 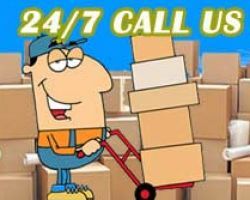 Each mover that works for this company has been trained to handle your most precious items. They will care for your possessions as if they were their own. You can rest assured that everything will reach its new home in perfect condition. With the customer as the focus of this business, the company offers relatively cheap prices for all of their packing and moving. Moving is one of the most stressful experiences for homeowners, but it doesn’t have to be when you have professional Charlotte movers helping you through the process. Unity Relocation is an expert company with highly trained moving specialists. This team has been operating as a local moving company since 2003. In that time they have built an unrivaled reputation throughout North Carolina. All of their skills and guarantees are backed up by the reviews left by former clients that have all said only good things about their experience. Whether you are moving locally or need nationwide moving services, Sawyers All Carolina has the services and the experience that you need to make for a seamless transition into a new living space. From residential and commercial moving to packing and relocating an office space, the skills of this team can be used in any moving situation. In addition, this company is able to act as movers and packers that will carefully organize and store your things so the move will be as quick and safe as possible.